Of the five, Miguel Torres has had the longest career and has the most professional football experience. Joining La Fabrica at age 12, he went on to make his first team debut against Ecija in the Copa del Rey in 2006. He won LaLiga under Fabio Capello and then again under Bernd Schuster in 2007/08. After 70 first team Real Madrid matches, he joined neighbours Getafe. Luis Hernandez spent 13 years at Real’s academy and although he never made his debut, he did join Manuel Pellegrini and Jose Mourinho’s training sessions at one point or another. After Dani Carvajal exploed onto the scene instead, Hernandez left for Sporting. 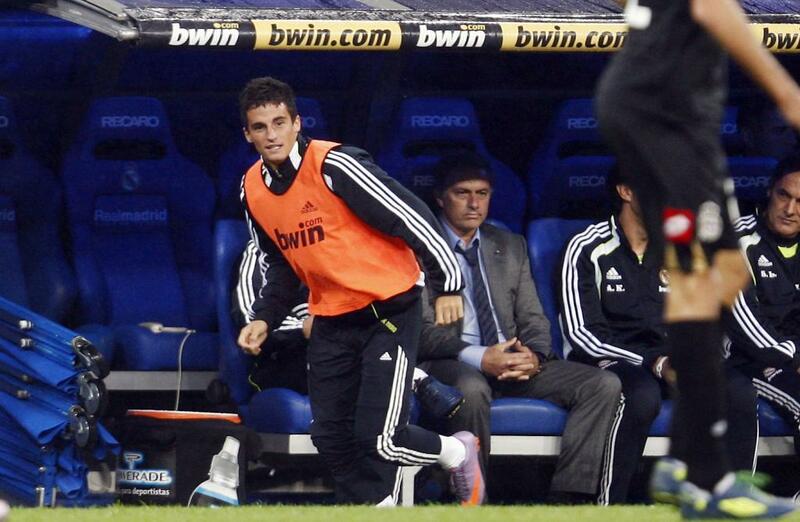 Known as Juankar now, but Juan Carlos back then, he played with Real Madrid Castilla from 2009 to 2011. Mourinho would eventually given him a debut in 2010 but he never broke into the first team squad. Jose Rodriguez was tipped by Mourinho to be a player ‘for the next ten years’. Nonetheless he never fulfilled his full potential, and fell out of favour under Carlo Ancelotti. He left for Deportivo in 2014. Diego Llorente won’t play against Los Blancos on Sunday, as he has a contract with the club until 2020. He’s been loaned to Rayo Vallecano and now Malaga, and was given a brief shot under Mourinho and Ancelotti, but hasn’t been able to make a decisive breakthrough.